I’ve lost count of the number of travel blogs I’ve read lately saying you should “quit your job and travel the world.” The problem with that is that not only is it very unrealistic but what if I don’t want to quit my job? I like my job, and I like having somewhere I can call home. The solution is to work harder, dream bigger, and slowly but surely take amazing holidays and see amazing new places. And you won’t go broke at the same time. In the last five or six years, I’ve been on some incredible holidays and experienced the most beautiful things. Mayan ruins and midnight tribal dances in Mexico. I’ve drunk from freshwater fountains in Rome, and I’ve even partied away in the boiling hot desert at Coachella. When thinking about what I want to do next and where I want to go for my future holidays, I know that I want to visit places a bit less obvious and a bit more unique. I’m torn between wanting to visit new places from my wish list, such as New York, and wanting to go back to old favourites I already love, such as Barcelona and California. One thing’s for sure, though. I know I really want to explore the world more. I’m a sucker for a travel quote too. When I see one of those real cheesy one pop up on my Instagram you can guarantee I’ll save it. Inspiration is always needed and I find travel quotes can really help me feel motivated to get planning. In the last year, I’ve been upping my photography skills. I’m currently searching for a new camera to take travelling too so if you have any recommendations do share. Food is what always ropes me in, honestly! Well, food and nice hotels attract my attention. 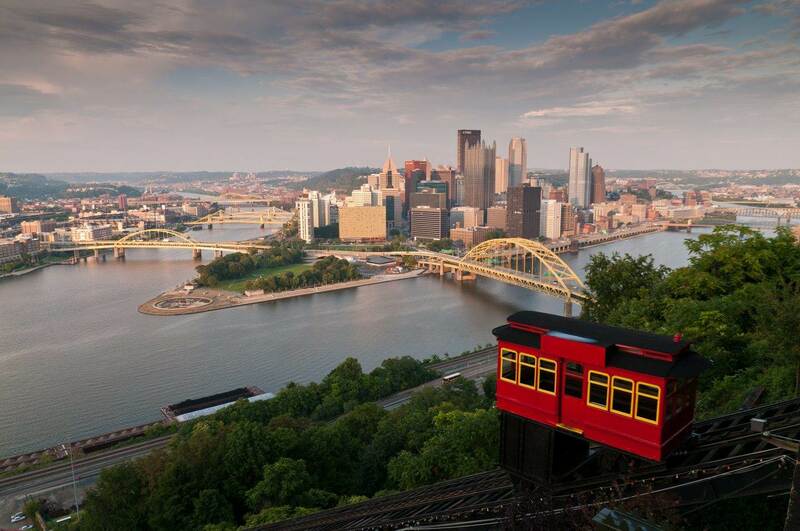 Plus, Pittsburgh was described by the New York Times as the “the only city in America with an entrance.” When you arrive at the end of the Fort Pitt Tunnel, which cuts through Mt. Washington, you get a picturesque view of downtown. Iceland is a country like no other, and though it’s small, with a population of little over 300,000, there is so much to explore here. For outdoor adventure types, this is the perfect getaway in summer or winter. Steve and I have been banging about going for ages now, so we just need to get on with it and get organised. Through my travels, I have eaten some of the best food around the world. Of all the places I have yet to visit, though, India excites me the most. The beauty of travelling is that you can hone in on the things you are most curious about. For many people, this means adventures and sightseeing or climbing as many mountains as possible. For me, it’s all about the food, which is why our days and plans usually revolve around our taste buds. Plus, we’re vegetarian, and we’ve heard so many times that being a veggie in India is the best way to eat, if you know what I mean! Cape Verde is an archipelago consisting of 10 volcanic islands situated off the coast of Senegal. It used to belong to Portugal, but it gained independence in 1975. I’ve always gazed at the beaches and landscapes online, and I’ve wanted to visit for some time now. I love the idea that it sounds a little more unspoiled that other beach holidays. With the option of adventures and cultural experiences included. it seems like a win-win getaway to me. Where do you hope to visit over the next 12 months? Do you have any tips for any of the destinations I’m planning on visiting? "How To Set Up A Cupcake Tower"
"(AD) Things To Do In Northern Ireland"
I’ve always heard that travelling the East Coast around early fall is just breathtaking. So that’s on my Bucket List. We travel quite a bit as well. I am planning our 2018 summer vacation as I type: Prague, Vienna, and Croatia! Love this post! I love this idea of making lists of where you want to go. I would love to eat my way around India! Curry is the best! I grew up in Pittsburgh and can’t recommend visiting anymore! It’s changed a lot since I’ve left (we’re in NYC now), but my parents tell me that the food scene is hot! We are actually on vacation in Quebec City this week and loving every minute. Oh, the places I want to go! I actually wrote a 5 part series called Destination Wishlist and separated them by continent/area. I’m hoping to up my photography skills soon after we get moved to Atlanta. Never been there, so it’ll be a big adventure for me! I wanted to visit 30 country by the time that I am 30 years. But U wont meet me goal unless I hit the lottery. All the places I will go I get so happy about all of it. I plan to visit Hawaii soon! Never miss bringing your amazing swim wear! I enjoyed reading your post! I would also suggest adding Koh Samui to your list, its a wonderful island in Thailand with a coral reef that will just amaze you!! Ah I love reading travel blog posts, they always leave me wanderlusting for my next adventure. We’ve just booked flights to Bali and leaving in a few weeks and I am beyond excited! OMG the waterfall is gorg! So beautiful that I would just stare at it if I were there. Great post. I don’t like the idea of quitting my job to travel either. I like what I do, and I like to take cool breaks every now and again, and see the world. WOW your photos are amazing and what beautiful places you have been! Eating your way around India sounds like my idea of heaven! I’m not sure travel is on our agenda with four children, but one day when they are grown I’d love to travel a little further than the UK or Europe! You’ve got some rather grand travel plans – can I come along too? 😀 I met a fellow while cycling the other day, he’s been bikepacking around the world for the last year, funding his travels with selling his photography to stock photography sites. I thought that was a great idea!